Register Log In GliderCENTRAL Forums Behavior & Anatomy Behavior & Anatomy 101 Misc. Behaviors Gliding? If this is a silly or stupid question then I apologize. My gliders don't glide. Ever. They are out playing a ton and have plenty of opportunities to jump from high places and land on different things be it me, the bed, a table, a dresser, etc. We do tent time, we hang out in a glider proofed bathroom and bedroom but they never try to glider. Ever. I don't understand why not. Thanks for your time guys, as always it's appreciated! Some gliders glider, some dont. My Gizmo never glides. She doesnt even like longer jumps and I swear she is afraid of heights. Arwen is the real dare devil here. Will jump from any height as long as I am her landing place. Both my twin girls glide every chance they get they are jumping on everything and gliding and these guys are 15weeks now. Skadoosh is my biggest fan of gliding, she loves to climb or jump to anything as high up as she can go and then glide down to me. Sometimes she'll just jump, but she takes every opportunity to glide during out of cage play, and when she does jump, is not afraid to jump longer distances. Lulu, she can glide, I've seen her do it, but she does it less frequently. She is more often hanging around on my back, floor, or climbing up space saver or jungle gym if it's in there. She does jump some shorter distances more readily but there are those rare occasions that she'll jump farther or climb higher and glide back to me. I believe with my gliders that Lulu lacks the confidence and prefers to play it safe. I don't think she enjoys the glide like Skadoosh does. While I believe Skadoosh is my "daredevel" loving the glide, loving pushing herself to bigger and better stunts, she has much confidence. Ruby has never done the gliding thing...she's more of a walker/hopper. I think some just don't glide in captivity. To try to encourage them to glide, put them in a high spot and hold your arm and hand out to them to jump to you. Start out with your hand close to them, and gradually move farther away. Lol well now I know all of you have gliders that glide. Thanks Jill for answering my question. I just want to know if they start gliding at a certain age and if it's normal for some to never glide because neither of my twins do, ever, at all. Shelly - yeah I just started doing that this week. Even my crazily acrobatic little girl just looks at the landing spot and looks at me as if to say "you're kidding right?". I really thought that at least Beeble would glide right away. She has never had a fear of jumping - she will literally jump on everything from insane distances. So I Think it's so bizarre that she never glides. Could it be that they're too young & still learning? I hold my hands out for mine to glide to me. So cute...reminds me of when my kids were little and would be at the side of the pool trying to get up enough nerve to jump in to me...They lean toward me that same way, like they're saying "I'm gonna do it...I'm gonna do it..."
Indie is crazy when it comes to gliding but Eevee hardly ever does! I do think that it depends a lot on the individual glider and their personality. However Drea I think that if you try to 'teach' them to be more comfortable by doing what Shelly said 'Bay and Beeble may eventually come around! They may just be wary of doing it the first time. Don't give up! Maybe try to bribe them to jump to you by offering mealies! Sorry Drea, I was kind of trying to answer your question by describing my girls gliding activities. Their my only experience and I'm not super knowledgable on all things glider & gliding. I just was trying to stress, some may be super confident and/or love to glide while others may not. Because your's were gotten at a young age and you have watched them grow and develop (mine were around 1yr old when I got them), it could be possible they just haven't figured it out, but can't really say being I don't really know if that's even possible. Keep working with them, they'll either be gliders or not, maybe on will and one not, they're all so individual as you already know. I have jumpers, gliders and clingers, I think it all depends on how brave or whatever. Some of mine would rather just hang out on me. If I put them up high somewhere, some will jump to me, some glide, one just chattered at me until I retrieved him.....Guess like us they have varying degrees of courage or experimentation. I wouldn't worry about it too much, just love 'em!!!! To handle yourself, use your head. To handle animals and others, use your heart.Mom to - Autumn, Cloudy, Starman, Ayla, Stitch, Dani mosaic, 100% cream het August, Valkyre, and joey Indy. Sorry Terry I didn't mean to come off upset. I was just curious about what was wrong with my little fuzzballs. Gliders that don't glide lol!!! 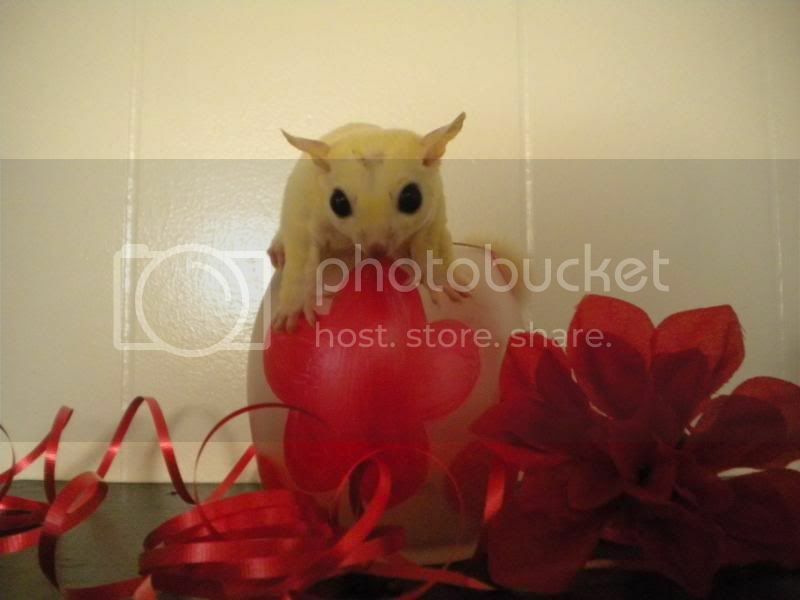 While gliders must glide in the wild, it is not something that they MUST do in captivity. Remember, we gave them the name "gliders." They didn't ask for it. I always tell people that *I* CAN run. I possess the ability. But, I don't run...ever. There is nothing wrong with me. I still could do it if I were inclined. But, I don't enjoy it and with my Lupus it is painful. So, I don't. If a giant were to capture me and keep me for a pet and tell all his giant friends that he is worried about me because I never run or jump or... whatever.. and then devise ways to try to make me do so, I don't think we would have the best relationship. My gliders that like to glide, I provide plenty of opportunities. For those that don't, the opportunities are there, but I don't force or coerce them into it. Couldn't agree more, Val. I have a couple that are definitely gliders. Boy, can they go! BooBee will go 8-10 feet, depending on the room. He's fantastic at it. I have others that might jump a foot or two. And some that simply like to walk to where they need to be I don't try to get them to glide. If they do it, they do it. I really, really like that description and it does make sense. I would certainly never force my babies to do anything. I was just curious if it was common to have gliders that didn't glide. I would certainly never make them do so. I just wondered if anyone had gliders that had never glided. I apologize if it came off like I wanted them to do a trick or something, that is definitely not the case. I would like to think my gliders and I have a vey good, strong relationship. I just thought maybe I was doing something wrong in not providing them with enough opportunities to do so. Last edited by Drea; 11/25/12 12:31 AM. I dont think Val was insinuating you were doing anything wrong, she was just giving you another perspective. I actually think some form of "encouragement" or "training" is good for gliders, and all pets really. Just like with kids, if you "entice" them to do more, they get..well...smarter. There are studies that have been done with animals that show that the more interaction and "training" they are given it actually increases their brain activity. I think there is no harm in putting your glider on a safe spot and step back and encourage them to jump and eventually glide to you for a treat. It is after all an activity they would do naturally. You are not asking them to roll over and beg (un natural moves). I have had Gizmo over 4 years. Have tried and tried to get her to glide. She WILL NOT do it. So I dont bother to try anymore. She acts like she wants to, but looks down and says NO WAY. AS I mentioned Arwen seems to thrive on the challenge and loves it. But she doesnt glide around in their room from place to place. She will only glide if she can land on me. Silly girl. Here is something that Arwen taught ME: She will only glide as far as the height she is at (approximately). In other words if she is only 3 feet high off the ground she will only try to jump to me if I am WITHIN 2 to 3 feet. If I want her to glide 6 feet I have to put her AT LEAST 6 feet high. I certainly was not saying you are doing anything wrong. What I AM saying is to provide the opportunity. If they want to glide, they will. If they don't, it does not mean there is anything wrong with them. Ok, so no worries Drea about your glider/s not gliding or offending anyone. I believe you had a valid question, and seeing if holding a treat would encourage a glider that you have never seen glide before is certainly not the same as forcing. So after reading the replies, I will retract my suggestion to continue to work with them, but it still doesn't hurt to provide opertunities for them to try, to see if they would like to. 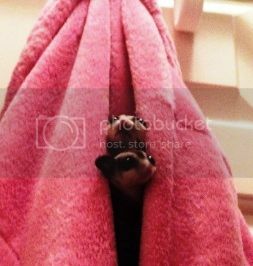 When I have out of cage play with my girls in the bathroom, I let them choose where to climb, jump, run or glide from if they so desire. As I said usually Skadoosh will climb as high as she can, and glide back to me, she will jump from object to object much more willingly. My Lulu is more hesitant and will only jump and glide when and how she feels comfortable. Both girls receive only a verbalized reward "You're so brave", I rarely bring food or treat in for play time. If Lulu appears to look like she is "stuck" or "trapped" somewhere, I come to her rescue. Sorry Val I just didnt want anyone to think I would ever force my twins to do "tricks". I despise watching the (PPP) Perfect Pocket Pets people in videos throwing their gliders like their Pokemon balls to get them to glide. I adore my twins. I could never do anything to hurt them. My apologies if I came off upset - it's been a tryIng two weeks. I just wanted to make sure I wasn't doing anything wrong. Thank you Jill and Terry, I appreciate the comments. I have gliders, but one is a reacher. lol If she cant get to somewhere she wants to be... she will rreeaacchhh her little arms and and swim in air till she gets to it. lol! If shes on my shoulder and does it.. its like shes trying to be the propeller for her giant human. Shes about 2, and shes just now starting to jump to areas that are close by but she just doesnt spread her little arms and glide. They may come around to it, but just let them do it at there own pace if they are so inclined. Wow i thought i was the only one!! None of my gliders ever glide They are happy cuddled in my hoody or using me as a big tree to climb up and down. No gliding tho. Last edited by JessChi; 11/25/12 09:09 PM. Not sure I would call what mine do a true "glide"...more like a graceful long jump! They'll go about 5-6 feet, but if I get any further than that, they just look at me like I'm crazy! I might try a mealie in my hand...didn't think of that, I just hold my hand out to them Good idea! Well ironically enough super early in the am this morning Weebay glided for the first time ever. My boyfriend was holding him and I was laying in bed because I was super tired from work and Weebay took one look and me and just popped off my boyfriend and glided over to me. Just like that. We were in shock. I had to laugh. He now does it anytime he wants to go from human to the bed or human to the table. It's very cute. He does rather short distances but if I know Weebay then I'm sure within the week he'll be going from the ceiling to the floor LOL! Thank you all who gave me advice. You were all very right about letting them just do it on their own whenever the felt like it - that's exactly what he did. Congratulations on your glider gliding!!! Yay! The first time Eevee glided I was in shock. She barely even jumped before and then BAM she was on the other side of the room. I didn't even know what had happened. Hmmm Mine don't glide yet either! Jump yes, glide no. So there is hope lol.